Fresh Invest is delighted to release a stunning high spec, fully furnished HMO House located in NW2 London. Minutes from central London, Brent is a diverse and dynamic London Borough. On the doorstep of Wembley Stadium which dominates the West London Skyline, Brent is a place to really experience multicultural London. Brent’s economy remains strong through its major attractions including Wembley Stadium, and Brent’s many retail offerings. Nearby, Wembely is an industrial and commercial hub and Brent Park includes an Ikea, Large Tesco and other industrtial units. The £1.4bn regeneration of Brent Cross Shopping Centre should add employment and training prospects for local people to the tune of up to 3,500 retail jobs and 5,000 construction opportunities. The Old Oak common rail super hub for Cross Rail and HS2 could add as much as £5.6 billion to Londons economy whilst creating up to 55,000 jobs. 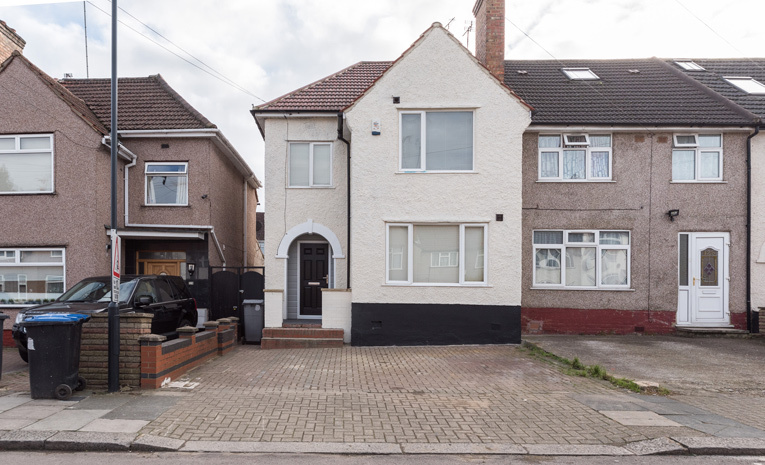 A rare opportunity to purchase a FREEHOLD HMO property in Brent, North West London. The property was recently converted from a 3 bedroom 2 bath into a 6 bed en suite property with 2 bedrooms benefitting from their own private gardens. The property was rented out to professional tenants last year very successfully but the landlord decided to sell with vacant possession. As you will see from the images, each bedroom has its own en suite and the property will come fully furnished with all white goods and soft furnishings. There are options of renting to Professionals or Local Housing Association (LHA) tenants. Private – The anticipated gross rent from private tenants would be £55,000 per annum which represents a 6.9% Gross Yield. LHA – The anticipated gross rent from LHA tenants would be £83,600 per annum which represents a 10.5% Gross Yield.